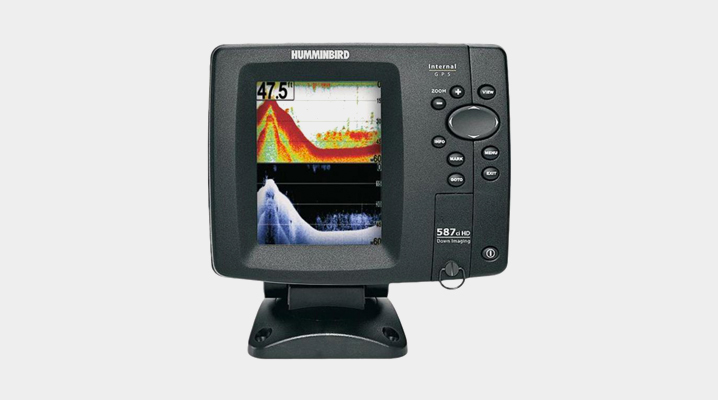 Spend less time observing and more time fishing with the Humminbird 596C HD DI fishfinder. Its 5 inch LCD display boasts a 640 by 640 high resolution and is built with the exclusive Down Imaging Technology to give you underwater details that are clearer than ever. It also comes with the Switchfire Sonar that gives anglers complete control on their sonar return displays, and the Dual Beam Plus Sonar that expands the viewing angle sizably. Of course, there are also the user-friendly features like the custom view and readout selections, selectable background and display colors, and the time-saving X-Press Menu System that will let you adjust the most used settings in a jiffy. 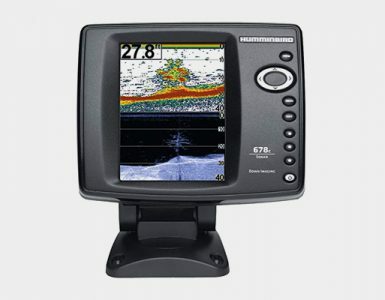 The 5 inch LCD display of the Humminbird 596C HD DI comes with the exclusive Down Imaging technology that works to reveal the underwater structure and cover details. It produces picture-like image qualities using high-frequency sound transmitted in ultra-fine wave slices. In turn, the sonar yields from such waves produce on-the-spot snapshots right under the boat. This advanced software from Humminbird evaluates the sonar returns to confirm the echo locations and make sure that you get only the activity and structure directly under your boat, and never off to one side or another. The SwitchFire sonar will give you total control on how your every sonar return will appear. It features two different display modes which can be adjusted to suit different angling conditions while on the go. 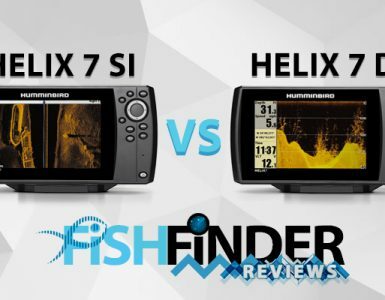 One of these is the clear mode, powered by the TVG (Time Variable Gain) software that filters through your sonar returns and present you with just the fish and structure displays. This is perfect for fishing in rough and shallow waters, or for keeping the water column clutter to a minimum. The other hand is the Max mode that will display even the smallest subsurface objects, from water currents down to thermoclines, giving you a comprehensive underwater coverage. These two modes take 2D fish-finding to a whole new level, featuring 3 new color palettes that offer more versatility while dealing with full-sun or overcast fishing conditions. The Switchfire sonar will also let you add and remove details to find the right water temperature, depth, and turbulence – with just a click of a button. Another great feature of the Humminbird 596C HD is the DualBeam Plus Sonar that will let you expand your field of vision to see more detail at wider viewing angles. The 20 and 60 degree beams can be used individually to get wide-ranging presentations of the structures and fishes under your boat. Or, add these two together to spread out your coverage width and make an impressive bottom profile up to 600 feet below the water. 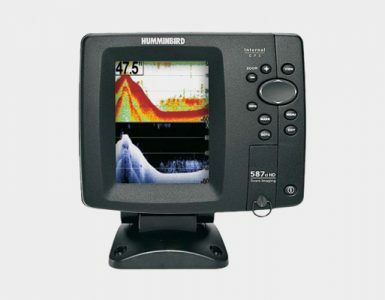 Upon closer inspection, you will know that Humminbird designed the 596C HD fishfinder with ease of use in mind. For starters, it has custom digital readouts and viewing selections so all the important details will be presented to you just the way you want it. It also features selectable display and background colors for the best imaging clarity. Plus, the X-Press menu system will let you quickly access the settings that you use frequently so you can have less time adjusting and more time fishing. The Humminbird 596C HD DI fishfinder measures 6.9 by 7.5 by 4.5 inches and weighs approximately 4 pounds. It includes a transom mount transducer and speed cable upon purchase and is covered by Humminbird’s 2-year limited warranty on parts and service. If you have just a basic understanding of installing electronic devices you will be able to set the 596C HD DI device up. It is very simple in its design, yet it has some very advanced features that will really help you track down the fish. The color display is very clear and easy to read. It offers a lot of functionality, and for a very affordable price, the Humminbird 596C HD DI fish finder is a great option for your fishing trips.